Having adopted a ‘Reliability Centered Maintenance’ strategy for operations management and assets, this utility company realised that this limited ‘Lean’ improvement approach was not embedding across the whole organisation. 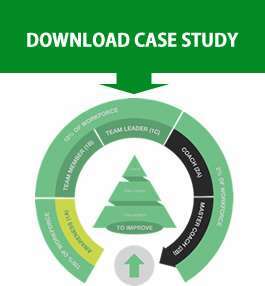 They wanted a more holistic approach to culture change and integration. This case study looks at how an improvement programme was designed and deployed, and how it underpinned change management and communication strategy across the whole business guided by the ‘Kotter’ model. To download the case study, please use the ‘Download Case Study’ link.